Is there anything in the cosmos more mystifying and terrifying than a black hole? 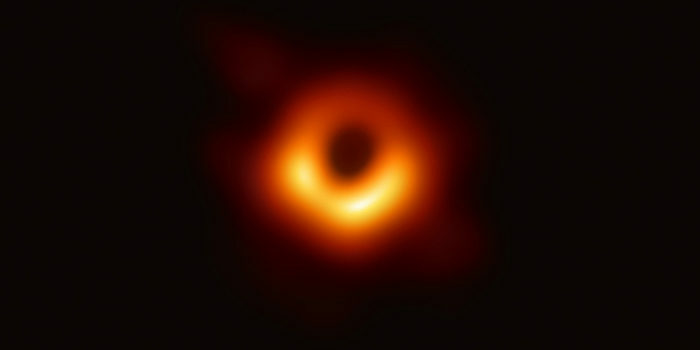 The Event Horizon Telescope array has managed to do the impossible and photograph a distant black hole in the M87 galaxy. Well, the array photographed the hole in space where the black hole should be. It devours all the light that passes the event horizon, of course. The black hole in question is incredibly huge. It is so big, in fact, that it could envelop the entirety of our solar system. The object is estimated to be 3.5 million times the size of our planet. In order to image the supermassive black hole at the center of the M87 galaxy, the Event Horizon Telescope team used an array of eight telescopes. The team used radio imaging and very precise array movements to gather petabytes of radio signals. Yes, petabytes. The tremendous amount of data gathered by the team was, in fact, too great to be sent over the internet. Instead, each dish in the array had an on-site hard drive recording information. When the team had enough data across their eight dishes, they brought all eight hard drives to a supercomputer. In order to image the black hole properly, the supercomputer collated the eight data points and gave us our clearest view yet of the oddest objects we’ve ever observed. According to the Event Horizon team, the images gathered support Einstein’s theories, proving the famous scientist right yet again. The image itself shows superheated gas being sucked into the black hole, resembling some demonic force consuming all that surrounds it. This image largely shows what physicists expected: black holes have their own set of rules. Einstein theorized that sufficiently massive object bend reality around them, altering gravity and light in the area. According to Einstein, as you approach the event horizon and get nearer to the singularity within, the very laws of physics begin to break down. Black holes fascinate us because they are so unlike any other objects in the cosmos. Their massive, light-obliterating profiles cast an odd shadow on our understanding of physics and reality. How can an object be so massive and so dense that it alters the nature of reality around itself? Surely, our thirst for knowledge as a species can never be quenched. What is truly impressive is the lengths to which we will go to learn more about the world around us.